PowerSchool is a secure online grading/attendance program that can be accessed from any computer with internet capabilities. With real-time up-to-date information, parents can access their child's daily attendance, assignment scores, and school bulletin all from a standard web browser. PowerSchool can also email parents on a regular schedule to keep them as informed as possible. For access to the login page and documentation please click on the links below. The steps listed below will ultimately end with two results: 1) parents will have their own PS accounts and 2) all parents will be able to access the Information Updates & Agreements (IUA) forms inside PS. The steps listed will walk both new and returning parents through the process. NOTE: To proceed, you will need the critical login information is contained in the email sent to you from info.update.agree@dlshs.org. If you are a new parent to DLS but already have an account because your daughter attends Carondelet, please skip to the Frequently Asked Questions section on this page to learn how to add multiple students to one parent account. In order to create a personal account you will need the PARENT ACCESS ID and ACCESS PASSWORD. This information is in the email sent to you the second week of July from info.update.agree@dlshs.org. If you have more than one son at DLS, you will receive multiple emails. If you did not receive this email(s), please check your spam folder. If you still need help, contact the De La Salle Registrar at byrnel@dlshs.org OR call 925-288-8109. You should see an image similar to Image #1 (at left). Enter YOUR first Name, YOUR last name and YOUR email that you want associated with this account (not your son's info). There must be a different email for each Parent/Guardian account. Creating an account with an email address used previously will generate an error. Create a user name and password you would like to use for this account (Image #2). This is NOT the PARENT ACCESS ID AND PASSWORD mentioned previously. This will be the user name and password you will use to login to PowerSchool in the future. To link your student(s) to the account, add your student's first and last name (Image #3). Enter the PARENT ACCESS ID and PASSWORD. You can add an additional student now or at a later time. The PARENT ACCESS ID and PASSWORD are different for each child. Select YOUR relationship to the student, e.g., Mother, Father, Stepmother, Guardian, etc. When you finish, press Enter. To add a student to an existing account, select the Account Preferences Button on the left panel. Select the Students Tab then the ADD button on the right to add his information. step 1: LOGIN TO YOUR ACCOUNT with your USERNAME and PASSWORD. You should see a screen with "Grade and Attendance" information for your student. If school is not yet in session, you will not see much. If you have more than one student on your account you will see a tab for each student across the top of the window. In mid-summer the default school year will change to the new year. If you would like to receive regular progress reports for your student please do that under the "Email Notification" button. If you have an account but forgot your credentials click on Forgot username or Password? from the login page. You will be assisted in recovering your sign-on information. To add a student to an existing account, select the Account Preferences Button on the left panel. Select the Students Tab and then click on the ADD button on the right to include his information. Follow the instructions on the screen, and then hit Submit. step 3: Click on the section below regarding "Summer Information Updates & Agreements" for the next steps. You will be completing this process for each of your student(s). You will need your Parent Access ID and password to add a new student to your account. This information can be found in the email you received in mid-July. Once logged into PowersShool with your new credentials, you will need to locate the Information Updates and Agreements icon located on the lower left side of the screen. Click on the icon and it will take you to the DLS Information Update & Agreements (IUA) Introduction page. The instructions on that page will take you the rest of the way. Important to Note: The PowerSchool mobile app does NOT support the IUA process. Please use a computer or laptop (not tablet) to complete the process. If you need to come back to the form to complete information, save that sheet (at the bottom of the page) and log out. 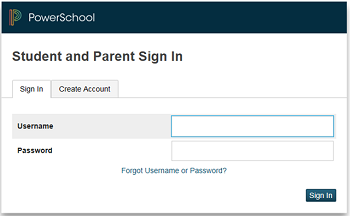 You will need to log back into PowerSchool to access the form again. At the end of the form please remember to click SUBMIT. You will not be able to access the form after you submit it. Please call Linda Byrne, De La Salle Registrar, at 925-288-8109 if you need to change any information on the form once it is submitted. Grades must be posted within 2 weeks of when the assignment was due. DO NOT CONTACT THE INSTRUCTOR BEFORE 2 WEEKS to check on a grade for an assignment. Refer to S1 or S2 grades for the most accurate reflection of the semester grade to date. Ask your son about the grade or assignment before contacting the instructor. Check for email updates or updated information in Schoology. PowerSchool provides a mobile app called "PowerSchool Mobile," which is available on most smartphones. The mobile app does NOT support the summertime IUA process at this moment.